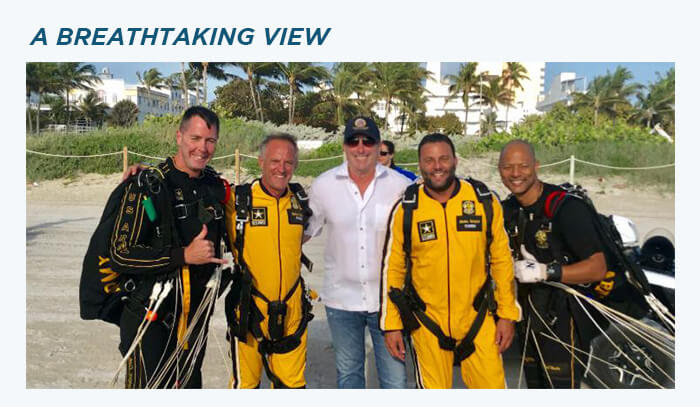 I had the opportunity of a lifetime — to see our beautiful City of Miami Beach from 15,000 feet while free falling with the US Army Golden Knights. The Knights invited me to jump with them as part of their training for the upcoming Air and Sea Show. As you know, this Memorial Day Weekend we will celebrate our armed forces and recognize our veterans during the National Salute to America’s Heroes. 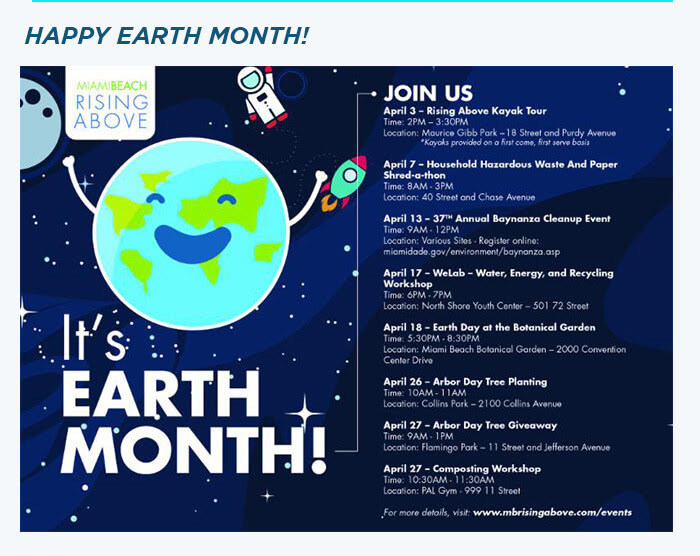 This will be a great event for the whole family to enjoy! To learn more about the event click below. I’ll see you there! 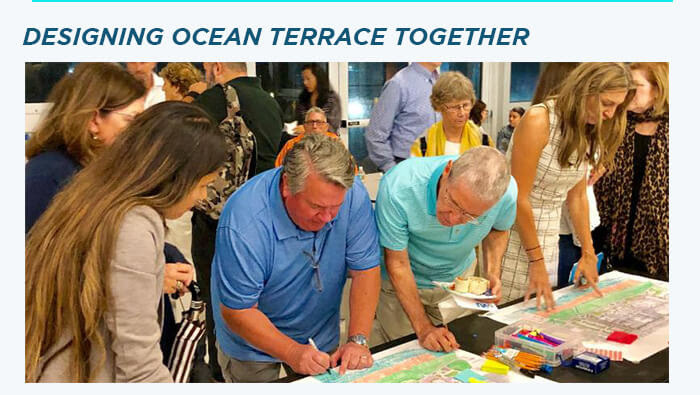 The team proposing the much-needed revival of Ocean Terrace recently hosted a neighborhood charrette so the community can design the future public improvements to that street together. The group brought in world-renowned landscape architect, Raymond Jungles, to build upon the visionary work of Garcia-Pons + Associates. The goal is to transform Ocean Terrace into a stunning, playful beachfront corridor that prioritizes the pedestrian experience. 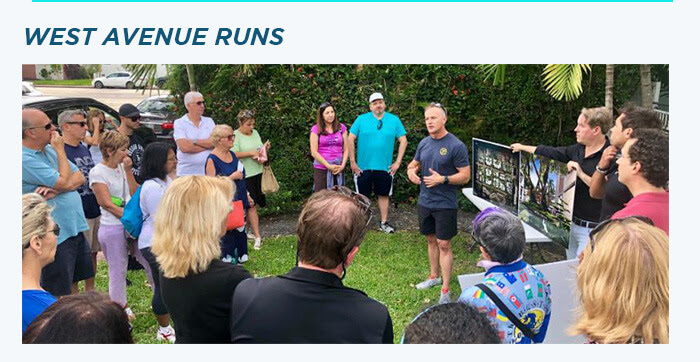 Thank you to the North of Fifth Neighborhood Association and the West Avenue Neighborhood Association for hosting the community and myself for one of our regular runs through the City of Miami Beach. We were joined by DOMO Architecture + Design, which presented a forward-thinking concept plan for urban resiliency. We also had an opportunity to discuss the baywalk, which is now fully funded thanks to your support of the GO Bond! Thank you for coming out! We are just about ready to go to market with our G.O. Bonds! Before we can do that though, investors need to see our creditworthiness. 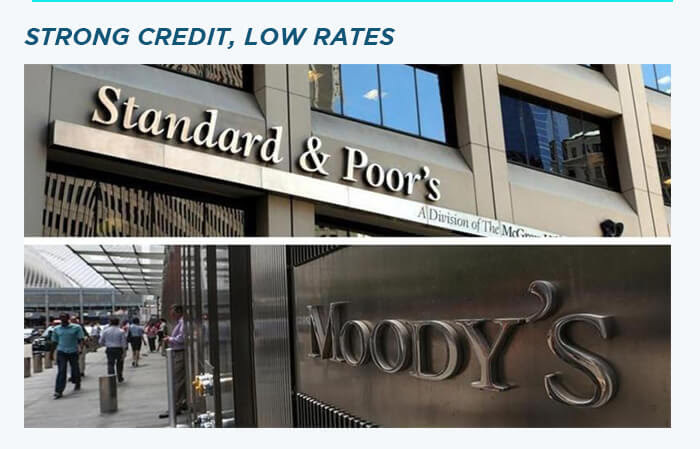 Luckily, Moody’s and S&P just came out with their credit ratings for our bond program. Good news! They both rated our bonds as an outstanding investment, which means we will receive lower interest rates. 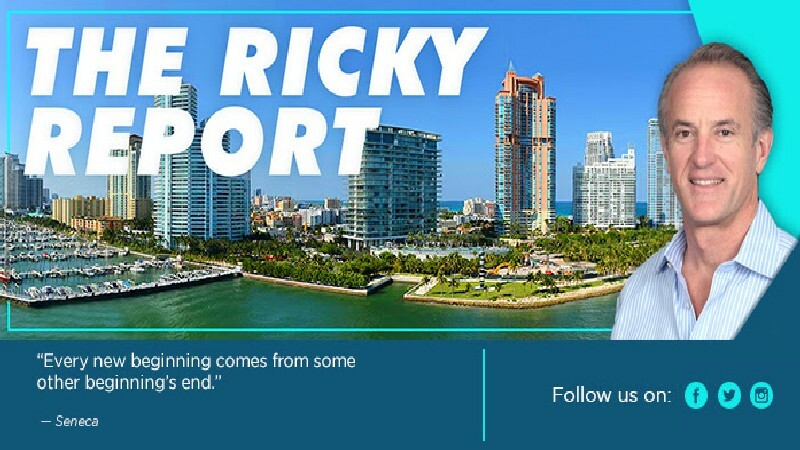 The reasoning for their ratings includes the City’s proactive actions to stem the threat of climate change and sea-level rise through its ambitious integrated stormwater management plan. 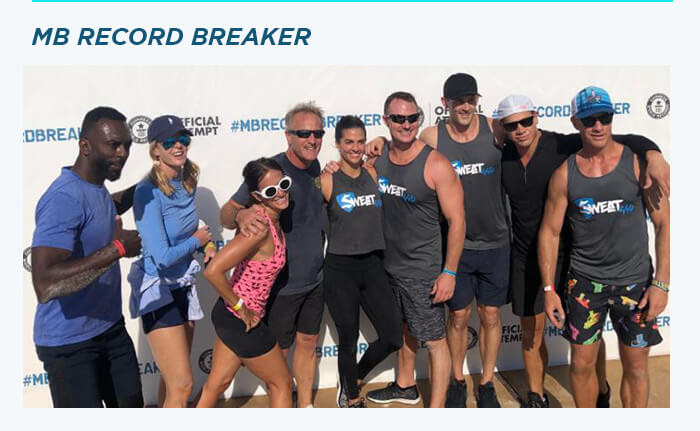 During spring break we attempted to break the Guinness World Records for the largest circuit training class. Melbourne, Australia currently holds the title with 2,061 participants. Roughly 450 people showed up to workout with us early on Saturday morning. The energy and community spirit were inspiring. Don’t worry – although we didn’t get it this time, we will try again. We just need YOU there! The actions we’ve taken towards resiliency as a community have been recognized by the federal government. FEMA has upgraded our Community Rating System to a Class 5. What does that mean exactly? 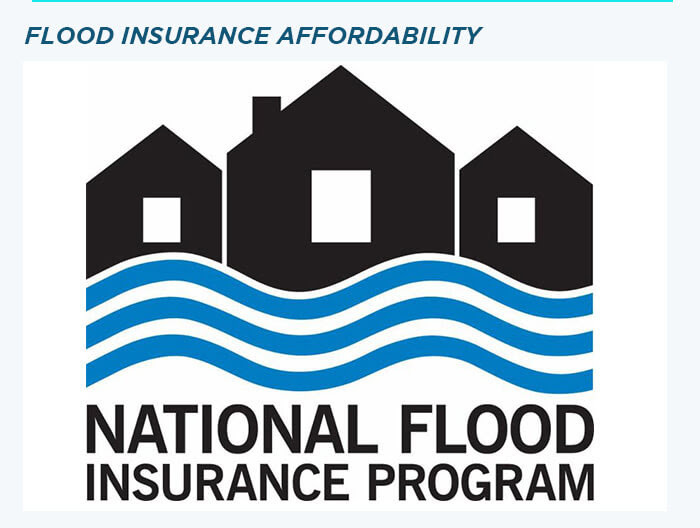 It means this new designation will save homeowners 20% to 25% in flood insurance premiums citywide effective May 1, 2019 because the city administration is actively working to mitigate our flood risk. We estimate that citywide savings will increase from $6.6 million to $8.3 million annually to help combat overall federal flood rate hikes. The old South Shore Hospital is set to be demolished on April 16 at 10:00 AM after remaining abandoned since 2006. 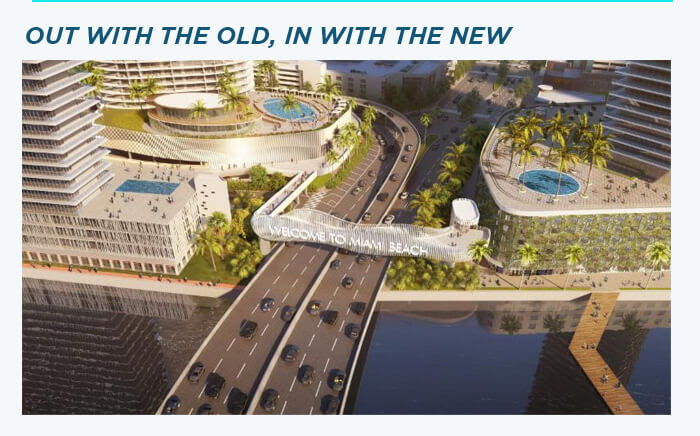 In its place will go a luscious, green three-acre public park and a modern residential tower that will support a new pedestrian bridge to finally link the baywalk over the MacArthur Causeway. If you plan to travel through Alton Road during that time, please find an alternate route as the street will be temporarily closed down for public safety. Since 2009, Pride Week has been bringing members of the LGBTQ community as well as their friends, families, and supporters together in a week-long celebration that culminates in a spectacular parade! 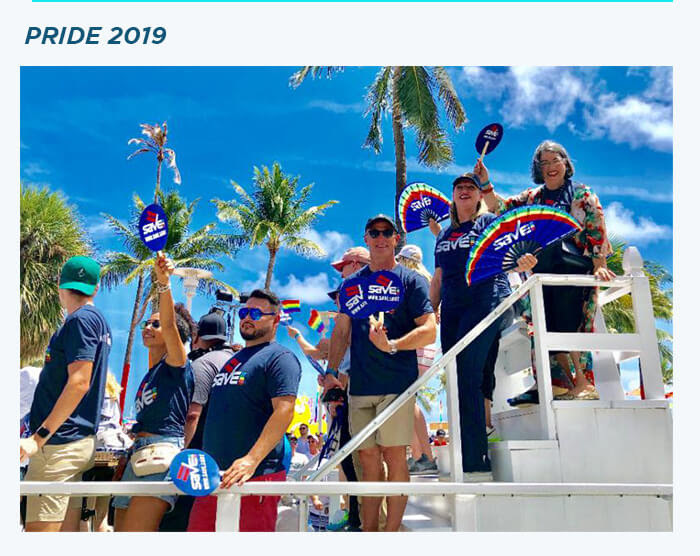 I had the chance to join my colleagues and friends on the SAVE float as we cheered for the Florida Inclusive Workforce Act, which would grant workplace protections for all regardless of sexual orientation & gender identity. If you want to help promote LGBTQ equality in South Florida make sure to volunteer with SAVE! Also, a big thank you to the tireless work of the Pride Week team!